Buy hundreds of products from LEGOLAND shops and can pay through our giftcardand get more excited offers for next shopping and also for LEOLAND rides. This is the best giftcard to gift your loved ones in any occation. 1. 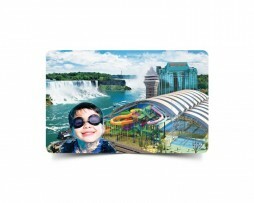 The Gift Cards are available in different denomination of CAD & USD. 2. The offer cannot be availed against separate bills or for purchases made at difference instances. If you shop for more than the voucher value, the difference amount will have to be paid via any available mode of payment. 3. The giftcard cannot be clubbed with any other offers/shopping credits. 4. No duplicate gifcard shall be reissued if lost, misplaced or stolen. 5. This gift card cannot be exchanged for cash. No cash will be refunded if merchandize purchased is less than the amount indicated on the voucher. 6. Gift Card Company reserves the right to add, alter, or modify, all or any of these terms and conditions, without prior notice.